Jennie is the designer/maker for JMS.Handmade. 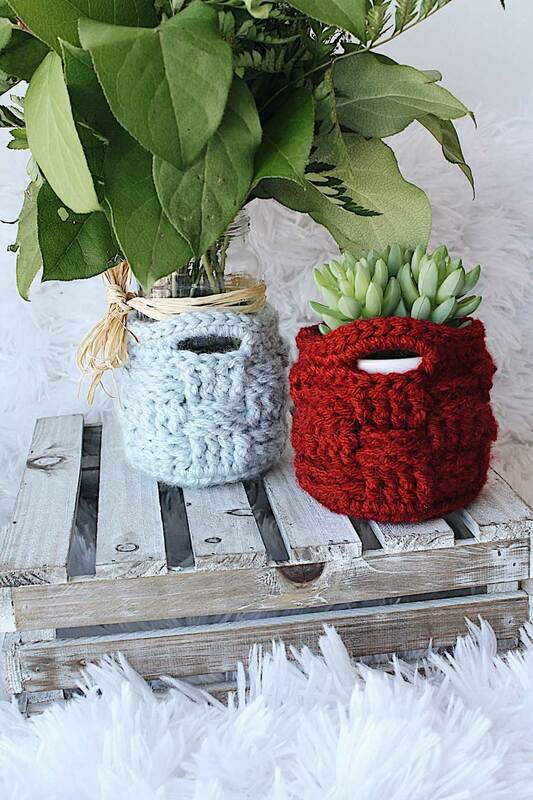 She sells beginner friendly crochet patterns and hopes to break into the knitting scene soon. When she is not playing with yarn she is usually trying out local coffee shops, road tripping with her husband, and watching too much Netflix. My name is Jennie and I am the designer and maker behind JMS.Handmade. If you are interested in following along on my maker/small business journey then you can find me on Instagram @jms.handmade. 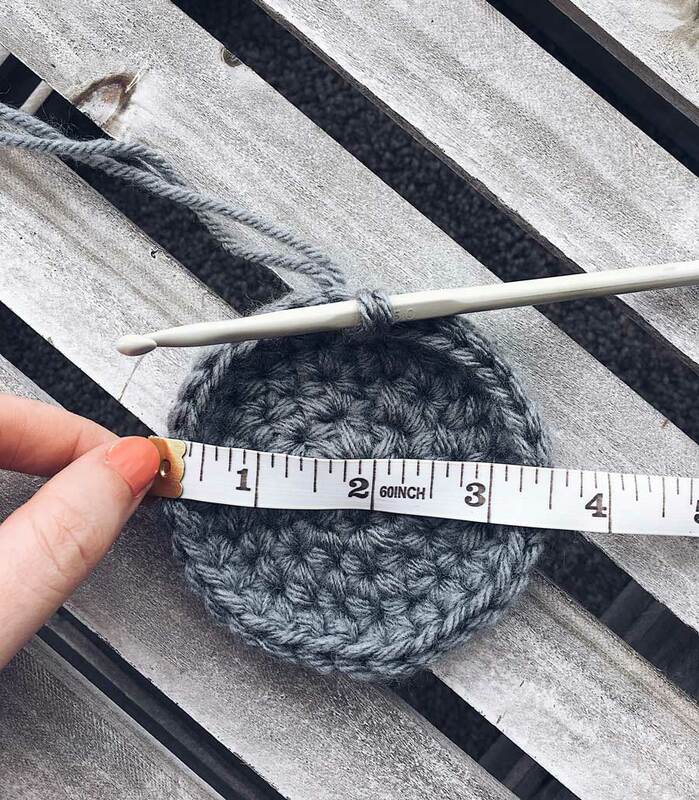 I grew up being a pretty crafty child, but my transition into fiber arts didn’t happen until my boyfriend (now husband) showed me his knitting “skills”, and I use that term loosely, while we were dating. 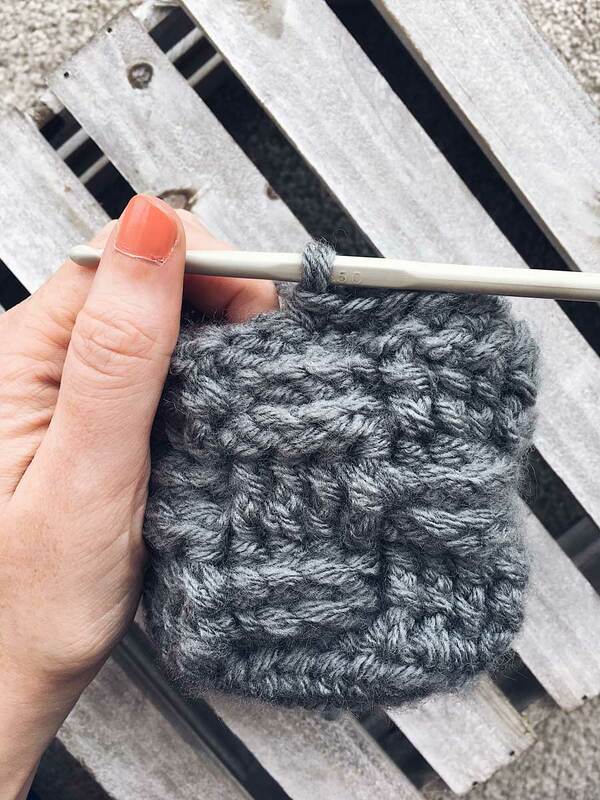 A few years later I received my grandma’s old knitting needles and crochet hooks and started to teach myself how to crochet via YouTube. I love the idea of filling my closet and my home with only staple items that I made with my own hands. 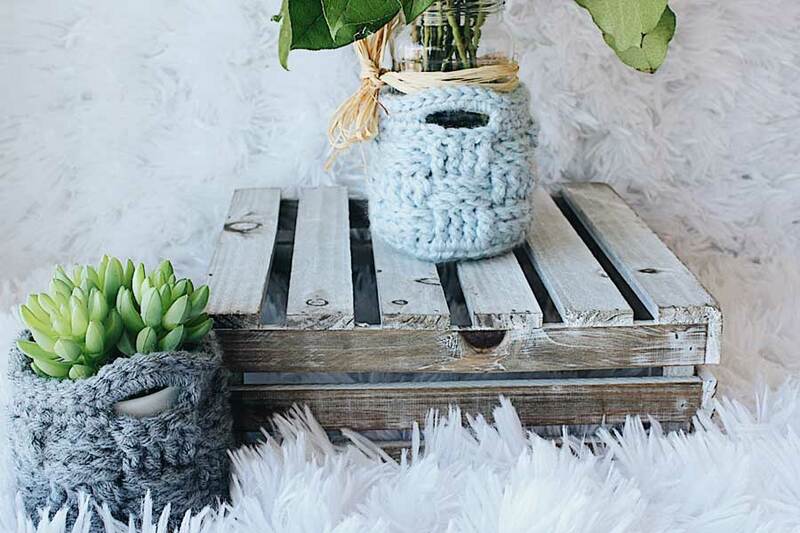 I dream of living a minimalistic/simple life surrounded by nature, yarn, and coffee. My decision to turn this craft into an online business was not an easy one to make. I am a relatively shy person by nature and being in the spot light in anyway usually brings along stress and anxiety. I started off by selling a couple of items to family and friends by request. It took a lot of courage for me to put myself and my business onto social media. To aim to connect with other makers, customers, and to promote my original creations was terrifying at first, but as I dove into the maker community I realized how welcoming and inspiring everyone was! My designs are always leaning on the beginner friendly side. I love solid colours, simple stitches, and only creating items that I would love to wear or see in my own home. Jessica (The Hook Nook) was one of the first truly inspiring makers that I came across as I started off. Her maker style, her confidence, her character, and her deep love for God have definitely been a whisper of motivation to keep me chasing my dreams. Its so amazing to now be featured on her blog! I hope you all love this new Basket Weave Basket pattern as much as I do! 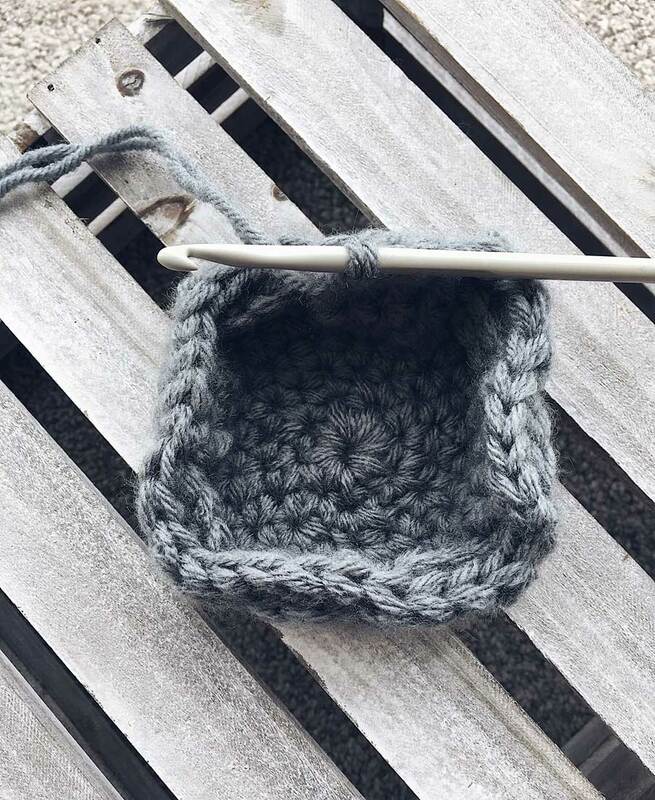 Making a basket with this stitch seemed almost too obvious, but I have actually never seen a pattern like this yet. 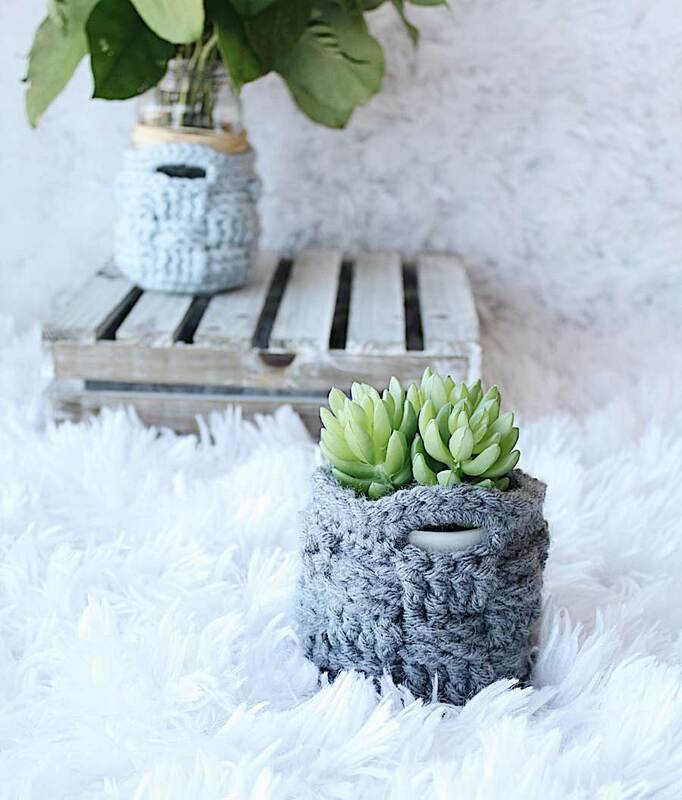 Tiny baskets for your little plants and succulents are always perfect for spring and this pattern is so quick that I dare you to not accidently make a dozen! Back post double crochet: yarn over and insert your hook from back to front and then from front to back again around the post underneath your next stitch, yarn over and pull through, there should be 3 loops on your hook, yarn over, pull through 2 loops, yarn over and pull through the last two loops. Step 2: Slip stitch into first chain made, chain 1. Step 36: Slip stitch underneath the beginning slip stitch, bind off, and weave in all of the ends. I hope that you enjoyed The Basket Weave Basket pattern and I can’t wait to see all of your creations. If you would like to check out my other designs you can find them in my Etsy Shop here or on Ravelry here. Thanks so much, Jessica, for allowing me to be a small part of your blog! I always appreciate everyone’s support of my business journey and I can’t wait to see what the future holds for JMS!